José Mourinho is back, but is he still ‘special’? José Mourinho’s second spell in charge of Chelsea began with his first official press conference. Journalists from around the world eagerly anticipated the first soundbites from the Portuguese man o’ war; few have ever done press conferences like Mourinho. Occasionally abrasive, but always engaging, he adds some spice to what are often relatively dry affairs. ‘Pressers’, at their most basic, act as a mechanism for clubs to inform the media of information. If you wonder why journalists make so much of quotes, it’s perhaps because, well, the rest of the process is often rather formulaic. But there was little prescribed about Mourinho’s opening ceremony in England. Who can forget how he strode into Stamford Bridge and announced himself as ‘The Special One’ on the back of winning the Champions League with Porto in 2004? This is why journalists love him; he does much of the media’s work for them. However, something (a lot) about him was different in his first press conference as Chelsea manager for the second time. If Mourinho’s first press conference in English football epitomised confidence, today’s was one characterised by an unfamiliar sense of humility. Such grace might not have necessarily been expected, nor perhaps even welcomed, by those desperate to hear some more typically bullish marks from the Portuguese boss. “I think I am a happy one,” he replied, although you wouldn’t have guessed it by his blank expression and somewhat melancholy tone. The rest of the press conference was of a similar vein. Those that were expecting an all-action, box office affair would have been disappointed as Mourinho calmly addressed each question asked of him. It appears that, after suffering his worst and most turbulent season in an otherwise trophy-laden career, Mourinho seems intent on bringing stability, rather than showmanship, during his second spell at the club. 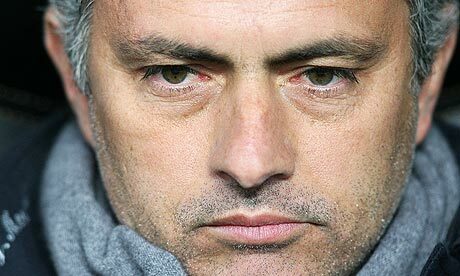 It will be intriguing to see if this apparently more measured Mourinho can guide Chelsea to back to the pinnacle of English football. Maybe then he’d start call himself ‘special’ again.